Giacomo Delledonne ist Postdoktorand an der Scuola Superiore Sant’Anna zu Pisa (Schwerpunkte vergleichendes und italienisches Verfassungsrecht), wo er das STALS-Projekt mit leitet. How should a supranational parliament be elected? What kind of parliament is the European Parliament? Such are the questions that emerge from a number of judgments of national constitutional courts in the last few years: in these cases, the constitutionality of derogations from strict voting equality like electoral thresholds have often been at stake. In dealing with electoral issues, constitutional courts also inevitably address the nature of the supranational assembly in Strasbourg and Brussels and its role in the European model of “representative democracy”, as the Treaty puts it. On two occasions, the German Federal Constitutional Court has found provisions containing, respectively, 5% and 3% electoral thresholds to be unconstitutional (judgments of 9 November 2011 and 26 February 2014). According to the Bundesverfassungsgericht, the very peculiar functioning of the supranational representative democracy could not justify such a limitation of voting equality. On the contrary, the Czech Constitutional Court has not struck down a provision of the Czech Act on Elections of the European Parliament regulating a 5% threshold (judgment of 19 May 2015). In December 2018, the Italian Constitutional Court has joined this discussion (judgment no. 239/2018). Although two previous attempts to challenge the Italian 4% threshold had been rejected on procedural grounds (judgments no. 271/2010 and 110/2015), this time the Court has ruled on the merits. In so doing, the Court has had to engage with the arguments of the Bundesverfassungsgericht, whose decisions had been supportively cited by the referring judge. The Constitutional Court has not subscribed to this line of reasoning: rather, it has sketched a different interpretation of the role and tasks of the European Parliament in the EU constitutional order, thereby ultimately justifying the electoral threshold. In this respect, the judgment does not only enrich the complex case law of the Italian Constitutional Court on electoral issues (in which, by the way, the German constitutional case law has served as an important source of comparative arguments) but it also represents a significant contribution to the judicial conversation within the composite European constitutional order. As regards the facts of the case, at the European election of 25 May 2014 the right-wing party Fratelli d’Italia had a vote share of 3,7% and did not get any seats in the European Parliament. Party chair Giorgia Meloni lodged a complaint before the regional administrative court and later before the Consiglio di Stato, i.e. the Italian top administrative court. The Consiglio di Stato referred the constitutionality of the 4% threshold to the Constitutional Court. Basically, it alleged that the impugned provision violated the principles of democracy and voting equality and struck an unreasonable between the interests and values at stake. Most of all, the unreasonableness of the electoral threshold is a consequence of the peculiar nature of the EU institutional system, in which the Commission does not properly have to command the confidence of the Parliament throughout the duration of its term. Therefore, the 4% threshold, which represents an obvious limitation of voting equality, lacks sufficient justification. As can be seen, the phrasing of the referral decree shows the influence of the arguments of the Bundesverfassungsgericht in the European legal space. Under the current state of affairs, the constitutionality of an electoral threshold in European elections is primarily an issue of national constitutional law. At the supranational level, the Direct Elections Act in its version currently in force only imposes on the Member States the adoption of proportional representation. Member States, in turn, may provide for derogations from the general scheme of proportional representations. Among the conceivable derogations, electoral thresholds that exclude smaller political parties from representation in the European Parliament occupy a central place in constitutional and political debates. According to the Direct Elections Act, Member States “may set a minimum threshold for the allocation of seats” that “may not exceed 5 per cent of votes cast” (Art. 3(1)). Some national constitutional orders, however, embrace a strict notion of voting equality, and derogations from proportional representation are constitutionally admissible insofar as they are justified by compelling reasons. In the case of national EU electoral laws, the constitutionality of electoral thresholds can be measured, among other factors, against the functioning of the European Parliament and, more generally, of the institutional system of the Union. As of today, twelve Member States have introduced electoral thresholds in their own EU electoral laws. Among them, Italy introduced a 4% threshold in 2009 in order to reduce party fragmentation and to strengthen the relative weight of the main Italian political parties within the European Parliament. As mentioned before, in its recent rulings on electoral laws the Italian Constitutional Court made reference to the case law of the Bundesverfassungsgericht, also in order to provide additional reasons for some rather innovative interpretations of domestic constitutional provisions. In the latest judgment, differences clearly prevail over similarities. This is true both in general and specific terms. On the one side, the Court embarks on a distinctive reading of the purpose of proportional representation. The evolution of parliaments has showed that it is necessary to overcome the idea of a “purely proportional registration of social and political pluralism” and to put in place adequate mechanisms so as to ensure the efficiency of decision-making processes. In light of this, mechanisms of political representation need to be re-considered. Indeed, political representation should not be seen as a “mere mirror” of a given society. The differences between this line of reasoning and the arguments of the German Constitutional Court is striking: the latter strongly emphasises the need to implement voting equality fully when proportional representation is adopted. Accordingly, legislative discretion is heavily reduced, all the more so when it comes to providing for derogations. A recurring idea in the German case law is the inherent partisanship of parliamentary majorities when it comes to electoral issues (“die parlamentarische Mehrheit gewissermaßen in eigener Sache tätig wird”). The Italian Court, in turn, emphasises the wide discretionary power of the legislature that, however, should not be exercised in a “manifestly unreasonable” way. On the other side, the second part of the reasoning of the Italian Court is devoted to the meaning and purpose of the electoral threshold in the electoral law for the European Parliament. As mentioned before, the referral decree of the Consiglio di Stato made explicit reference to the case law of the German Federal Constitutional Court. However, the Corte costituzionale clearly departs from this interpretive approach. In doing so, it cites the different result of the Czech judgment. The Italian 4% threshold can be seen as compatible with the Constitution insofar as it is instrumental in providing governmental stability and ensuring the functioning of the European Parliament. On this point, the differences between the Italian judgment and the German case law are most evident. First, the goal of a well-functioning assembly characterises the European Parliament in similar terms as it happens in national parliaments. In this respect, the Italian Court refrains from tracing a clear distinction between national and supranational democracy as well as, correspondingly, between a national parliament and the European Parliament. In this respect, there is, at least to some extent, a continuity rather than a hiatus between national and supranational democracy. This interpretive framework enables the Italian Court to draw clearly different conclusions from the analysis of EU primary law than the German Court did in 2011 and 2014. After the entry into force of the Lisbon Treaty, “an unquestionable change of the form of government of the European Union” is taking place. The increasing relevance of the legislative, budgetary, control and consultative powers of the European Parliament combinedly testify to this trend. Furthermore, the European Parliament elects the President of the European Commission and can force the Commission to resign if a motion of censure is passed. Under such circumstances, appropriate tools to favour the formation of a majority within the Parliament are urgently needed. The 4% threshold passes the reasonableness (or proportionality) test because its task is to prevent excessive party fragmentation and, consequently, facilitate the emergence of a majority. The issue comes full circle, as the highly political nature of electoral laws is matched by the wide discretion accorded to the legislature. Unlike the Bundesverfassungsgericht, the Italian Court has not looked into the daily routine of the European Parliament and the way its parliamentary groups co-operate or confront each other: rather, it has pointed to an ongoing process of constitutional transformation that plausibly makes the case for the compatibility of the electoral threshold with the Italian Constitution. A final point which deserves mention is whether or not a national electoral threshold is actually able to attain its alleged purpose if only some Member States have introduced them into their own electoral laws for the European Parliament. This issue was not really addressed by the Bundesverfassungsgericht in its two judgments, if not for the dissenting opinion submitted by Justices Di Fabio and Mellinghoff (BVerfGE 129, 300, 352-53), whereas the Czech Court dealt with it extensively. Again, the Italian Constitutional Court has stressed that the rationalising effort of the Italian electoral law is part of an ongoing process of transnational constitutional change, whose ultimate result should be the adoption of a uniform electoral procedure under Art. 223(1) TFEU and a decisive rationalisation of power relationships within the European Parliament. Because of some distinctive features of the Italian model of constitutional review, the Corte costituzionale has rendered relatively few Europa-Urteile in which specific aspects of the supranational legal order and its institutional system were in the spotlight (this is not the case, of course, of the relation between EU law and domestic law). In light of this, the present judgment represents an exception: the Court has addressed crucial features of the form of government of the Union in order to assess the “reasonableness” of a legislative derogation from voting equality. The Court has presented its own arguments quite concisely and hinted at an institutional evolution that is still ongoing. Unlike the Bundesverfassungsgericht, which focused in-depth on the European state of affairs at a given stage, the Corte costituzionale has pointed to a gradual evolutionary development towards “a rationalisation of the representation of political forces within the European parliamentary assembly”. In this respect, Italy, like the other Member States carries a peculiar responsibility: the process may well be incremental but the decisions of national legislatures can be seen as the necessary intermediate steps. As the Court stated, the Italian 4% threshold represents, just like those of any other Member States, “a necessary (but not sufficient) condition to pursue this goal”. As I have stressed above, it is possible to detect a circular relationship between the piecemeal evolution that is gradually taking shape and the wide discretionary power of the national legislature in adopting the electoral law for the European Parliament: the link between them – and the most relevant difference with the interpretive approach of the Bundesverfassungsgericht – is that both national parliaments and the European Parliament have to face similar challenges. 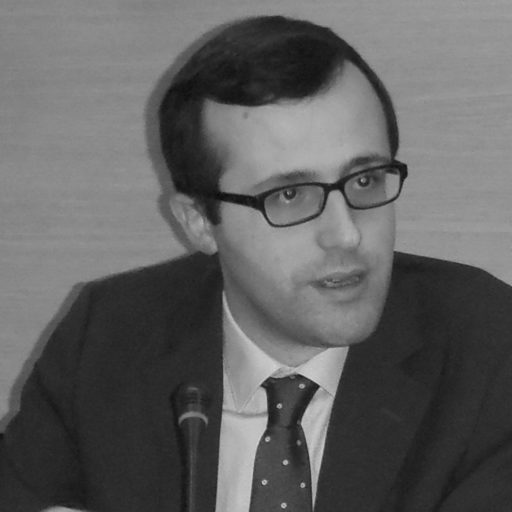 SUGGESTED CITATION Delledonne, Giacomo: Rationalising political representation within the European Parliament: the Italian Constitutional Court rules on the threshold for the European elections, VerfBlog, 2019/1/11, https://verfassungsblog.de/rationalising-political-representation-within-the-european-parliament-the-italian-constitutional-court-rules-on-the-threshold-for-the-european-elections/, DOI: https://doi.org/10.17176/20190116-210608-0. "Member States in which the list system is used shall set a minimum threshold for the allocation of seats for constituencies which comprise more than 35 seats. This threshold shall not be lower than 2 per cent, and shall not exceed 5 per cent, of the valid votes cast in the constituency concerned, including a single-constituency Member State." The amending decision needs ratification by all member-states and this provision is only valid for the second elections following the entry into force of the amendment. Dear colleague, thank you for your comment. In fact, Decision no. 2018/994 of the Council was mentioned by the Italian Government in order to rebuke the arguments of the complainant and the referring judge and to suggest that the Constitutional Court refer the question to the Court of Justice of the EU. As the Decision has not come into force by now, the Court has only taken it into account in the framework of an evolutionary development towards a "rationalisation" of supranational parliamentarism. You write: The constitutionality of an electoral threshold in EU elections is primarily an issue of national constitutional law. Yet that issue could also be raised under EU law in a preliminary reference on the validity of the EU electoral law. Hi Alberto, thank you for your comment. This is a tricky issue, and it may become highly topical when Decision 2018/994 comes into force and thresholds become mandatory for the larger Member States. If EU citizenship should be viewed as a new form of civic and political allegiance on a European scale, as AGs Maduro and Szpunar argued, the way electoral law(s) shape supranational political representation is crucial. On the other hand, as long as the EP is elected "in" the Member States, some differences among the national electoral laws (in terms of implicit thresholds, size and number of the constituencies etc.) are inevitable. The Italian Court has not found it necessary to refer the question to the CJEU because the Brussels Act (i) is clear enough (see also BVerfGE 135, 259 ) and (ii) it only opens up a possibility for the Member States and, therefore, can not be seen as a yardstick for constitutional review. In my view, some of the parties to the judgment before the Consiglio di Stato were wrong in making the case for a preliminary ruling on validity (even because of the primary law nature of the Direct Elections Act), thereby facilitating the task of the Constitutional Court. In this respect, it should be mentioned that the Czech Court followed a different approach: it claimed that the national EP Elections Act implements EU law but it refrained from referring the question to the CJEU (as signalled by Smekal and Vyhnánek in their case note that was published in the Eur. Const. L. Rev.). "[…] the Italian Constitutional Court has stressed that the rationalising effort of the Italian electoral law is part of an ongoing process of transnational constitutional change […]" etc. a) There is a specific legal status quo (architecture) at any point in time. b) The members of the Italian Constitutional Court think that this legal status quo must be changed in a specific way towards more centralization etc. c) They think that they are legitimized to change the legal status quo incrementally towards this supposed goal. d) Therefore they have made such a decision. My point here would be that no court ever is legitimized to change the frame of the legal status quo. Rather such changes would also have to originate from the sovereign, the people, either directly or possibly indirectly, via the corresponding parliament. Courts are only legitimized to fill gaps whithin the legal status quo (to interpolate), not to extrapolate it or move the boundaries of the current frame. If they think that such a move is necessary or opportune, they can point this out; but only the sovereign can act regarding these matters. Courts are not legislators, they are only interpreters of the will laid out by the legitimate legislation. If the italian people would want to subordinate themselves under an EU parliament etc., they would explicitly have to pass a correspondig legislation. "The amending decision needs ratification by all member-states and this provision is only valid for the second elections following the entry into force of the amendment." at the moment I have little information to share on this matter. In France, for instance, a projet de loi has been submitted to the National Assembly, which has approved it (first reading) on December 19 2018. Senate approval is still needed. Also Italy has not approved it yet.